Wedding cakes today don’t have to be white. Be adventurous and go for a green fondant to make your cake stand out, or decorate your white cake with green icing flowers. 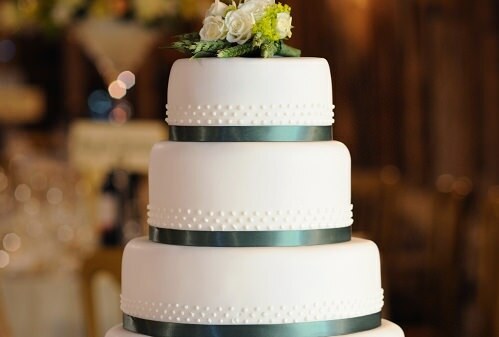 Simple cakes can be dressed up with a thick strip of ribbon at the bottom of each layer.